Facebook has finally launched its “Facebook at Work” service in India. The service is aimed at serving business firms as it enables employees to connect with work colleagues. One of the main features of the service is that employees can use Work Chat to comment and share news posts. The service is still in its beta mode and is currently used by companies such as Godrej, YES Bank Paytm, Zomato and Delhivery, L&T Infotech and others in India. Facebook claims that more than 60,000 firms are planning to integrate the service in their work ecosystems. The major distinguishing factor between regular Facebook and Facebook at work is that users can’t use their personal accounts. The login and access to the service are entirely managed by the organization. Some of the features of the service are Security, single sign on, dedicated support channels and analytics, contributors, and groups. Facebook at Work will soon be launched at a global level, but that might take a few more months. 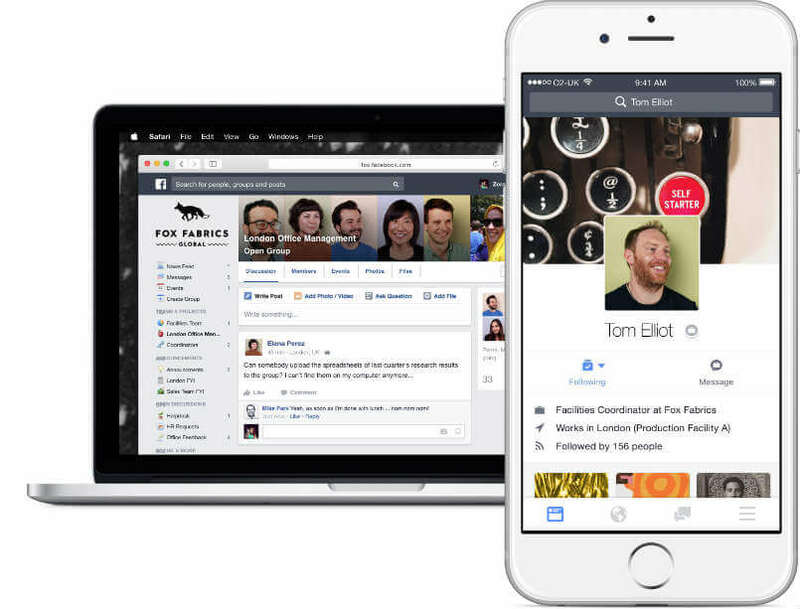 Facebook at Work will rival work-collaboration services such as Slack, Yammers, and others. The service currently holds a user base of more than 1.62 billion globally, out of which 142 million users are in India.